Speaking in Athens on Monday (28 January), Tsipras said pro-EU progressive forces should unite for the next EU elections in May. “This broad progressive alliance will have a clear position against neoliberalism and those policies that fuel the far-right and anti-European populism,” he said. “But it will also come with a clear position in favour of Europe, in favour of a Europe of democracy, social cohesion and rights,” the leftist premier added. Tsipras praised the governments of Portugal and Spain, which successfully formed alliances between leftist and socialist parties. “Looking at Europe as a whole, my feeling is that the European South – not all the countries but Spain, Portugal and Greece – are important oases in a political desert. Europe is, unfortunately, heading in the wrong direction, on dangerous paths,” the leftist leader said. Tsipras also called on progressive forces to get over their ideological differences to form a majority in the next European Parliament. Together with his senior Syriza party ally, MEP Dimitris Papadimoulis, Tsipras has tried to build bridges between Europe’s fragmented left-wing political parties in a bid to create a broad alliance for the EU elections in May. The Greek premier, who was the lead candidate for the leftist GUE-NGL political group in the 2014 EU election, coordinates this effort “centrally” while Papadimoulis focuses on the European Parliament as such. “The Left does not benefit from the failure created by neo-liberalism” with votes until now going to the extreme-right, Papadimoulis said, hoping to reverse this trend. Tsipras warned about the rise of the “new Right”, represented by Hungary’s Viktor Orbán, Austria’s Sebastian Kurz and Italy’s Matteo Salvini. “There is a great risk that the forces of anti-European right-wing populism will have significant gains in the coming years, and they will also take the lead in the forthcoming EU elections,” Tsipras warned. “The new Right lays a mark on the EPP [European People’s Party], either through parties that have leaders as I described before or through parties that base their rhetoric on the fear of losing votes from the rise of marginal and extreme right-wing political parties in their countries,” he said. “The EPP will have losses in the next EU election and this is a big bet for the progressives,” Tsipras said. 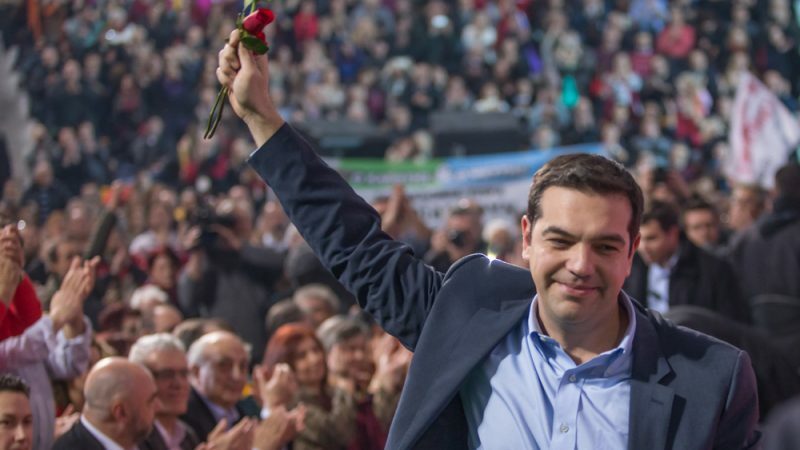 What a lame white washing of Tsipras. @editor, why don’t you compare the economic progress of the ‘socialist government’? And if you wan also to go into the political realm you can try about pondering the way that Spain dealt with Catalonia, and Greece dealt with ‘North’ Macedonia? Maybe about the support to Venezuela? Not to mention that the rampant corruption the rule of law in Greece (yes that one that you keep remembering selectively only for Poland) is nowhere to be found in your articles. While in every country politicians are short term oriented, in Greece those hungry populists, who were elected holding hands with the neo nazis from Golden Dawn, are hands down the champions. Portugal, Spain and Greece are the poorest state of the traditional west.